“Don’t tell him where you live. Don’t give him any money. Don’t trust a word he says.” That’s what Aunt Vinnie said about Xavier. “How bad can a fourteen-year-old be?” I asked her. 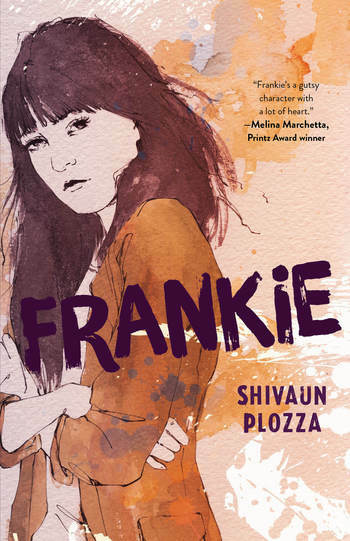 Shivaun Plozza is an award-winning Children’s and YA writer. Her critically acclaimed debut novel, Frankie, was a CBCA Notable Book, shortlisted for the Inky Awards, Highly Commended at the Victorian Premier’s Literary Awards and won the YA category of the Davitt Awards. Her second novel is Tin Heart, which Jennifer Niven called “swoon-worthy, moving, deep, and funny.” When she’s not writing, Shivaun works as an editor and manuscript assessor. She lives in Melbourne, Australia.